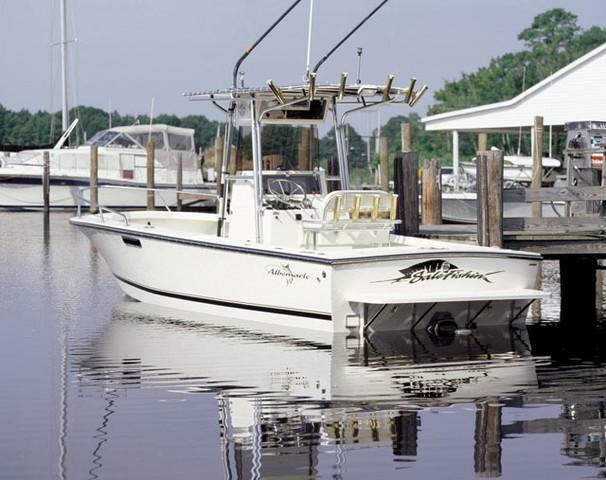 Boat Description The Albemarle 242 Center Console is fast, fuel efficient, and very functional for the fisherman who wants it wide open and spacious. The bow area has two conveniently located oversized storage areas and an anchor locker. Comfortably designed for running the boat whether sitting or standing, the helm of the 242 provides 360-degree fishability. Engine Notes Volvo also available.